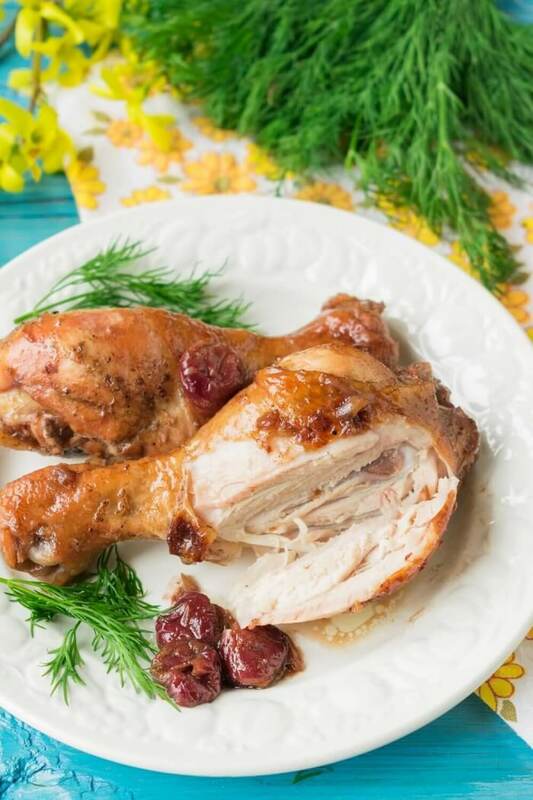 A delicious and unusual combination of chicken and fresh cherries is definitely to please both you and your guests. Thanks to the spicy marinade, the chicken legs in the oven are especially delicate, juicy and incredibly aromatic. During baking, the meat forms a golden crust, which makes the dish especially elegant and appetizing. 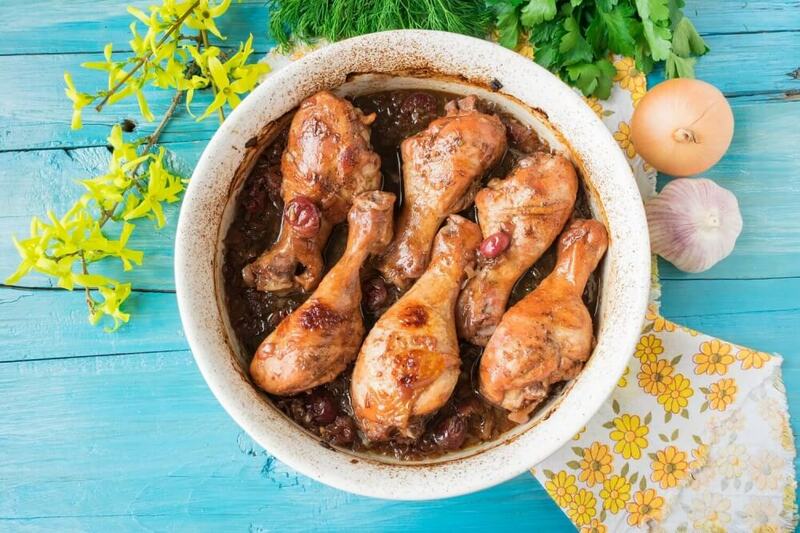 According to this recipe, you can bake chicken thighs, wings or whole ham. 1. 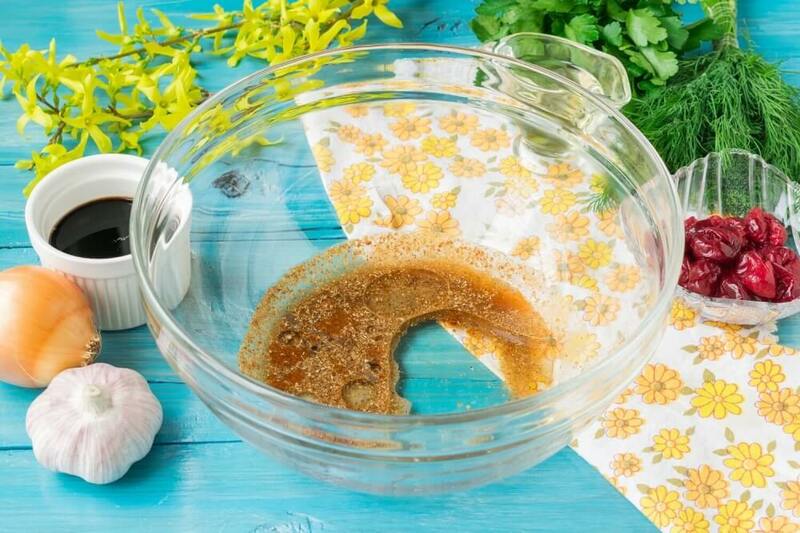 Prepare marinade for meat. 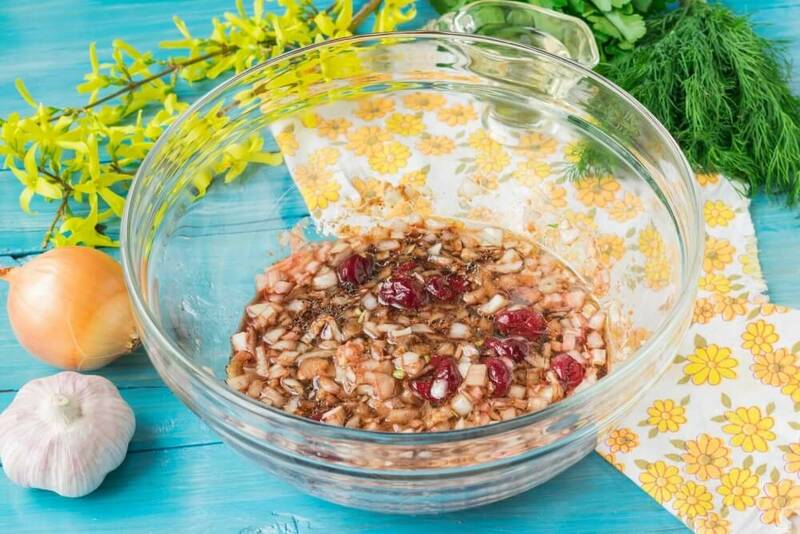 Combine vegetable oil without a smell and apple cider vinegar in a deep bowl (preferably from ceramics or glass). Add the ground spices and a little salt, considering that the soy sauce will be present in the marinade. 2. Peel off the bulb from the husks, wash it and cut into a cube. Add the chopped onion to the marinade mixture. 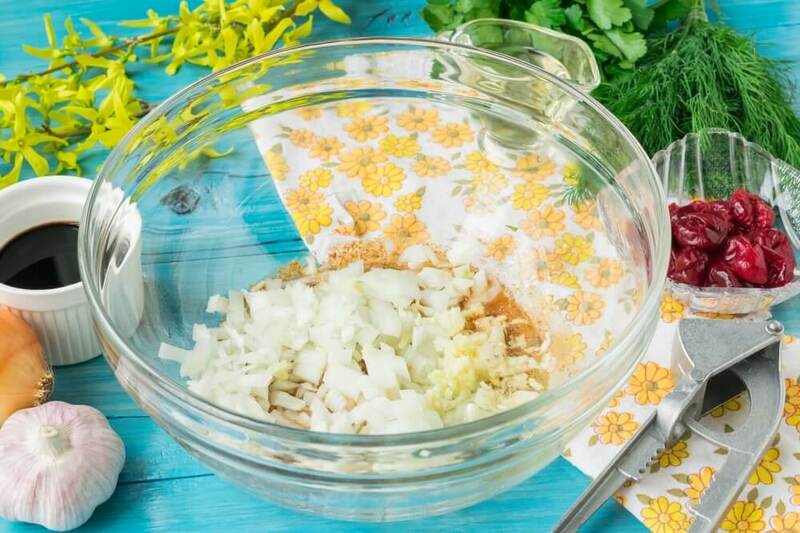 Pass peeled from the husks cloves of garlic through the press and add to the marinade. 3. 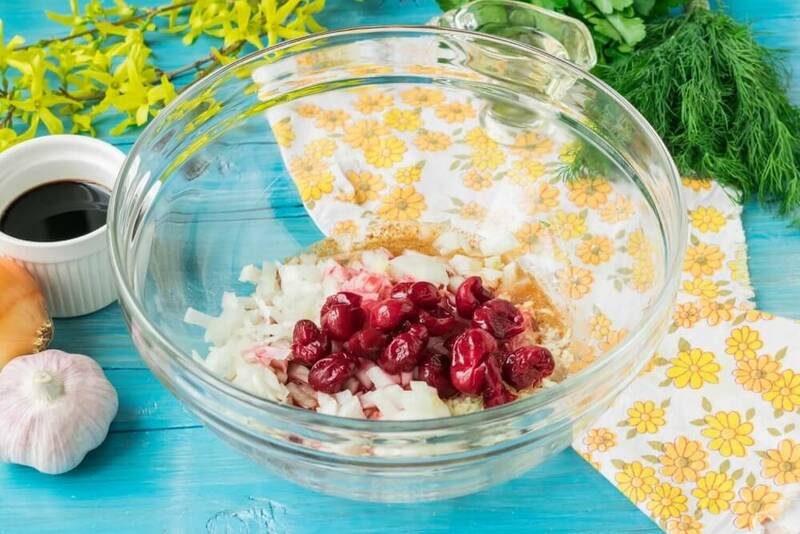 Next, add cherries without pits. Defrost frozen fruits at room temperature. 4. Pour a soy sauce into the mixture. 5. 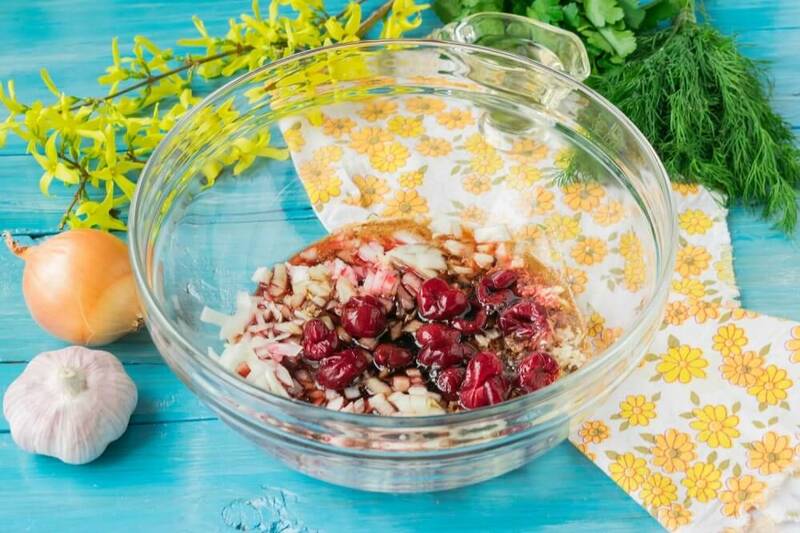 Carefully mix all the ingredients to make the marinade homogeneous. 6. Wash and dry chicken drumsticks with paper napkins. If you use a frozen chicken, it must be obtained from the freezer beforehand so that it thaws. Add the meat to the ready cherry marinade. 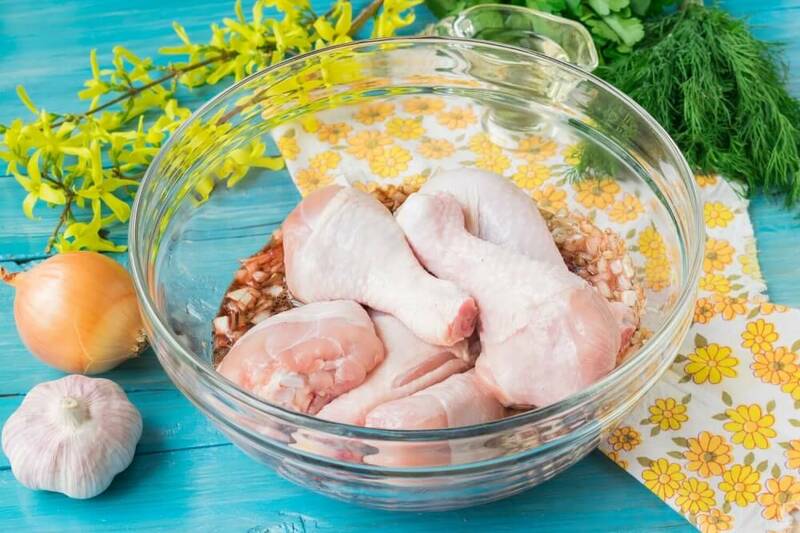 Mix the ingredients so that the chicken drumsticks are completely covered with the marinade. Leave the meat for at least 30 minutes (you can leave for a night on the shelf of the fridge), so that the chicken soaked in the aroma of spices and became juicy and tender. 7. 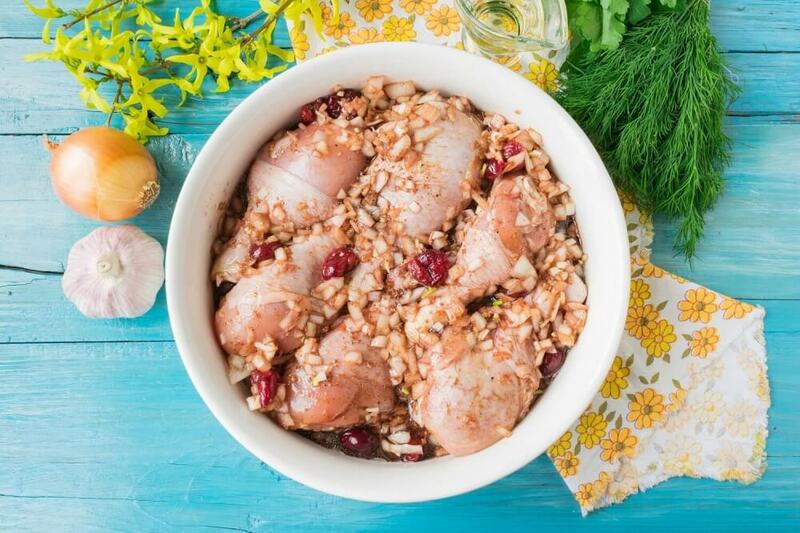 Put the marinated chicken drumsticks in a heat-resistant baking dish. Evenly distribute the cherries and onions from the top. Pour the meat with the remaining cherry marinade. 8. Put the mold with chicken into the oven heated to 200 degrees. Bake the meat at an average level of about 30-35 minutes until cooked. 9. 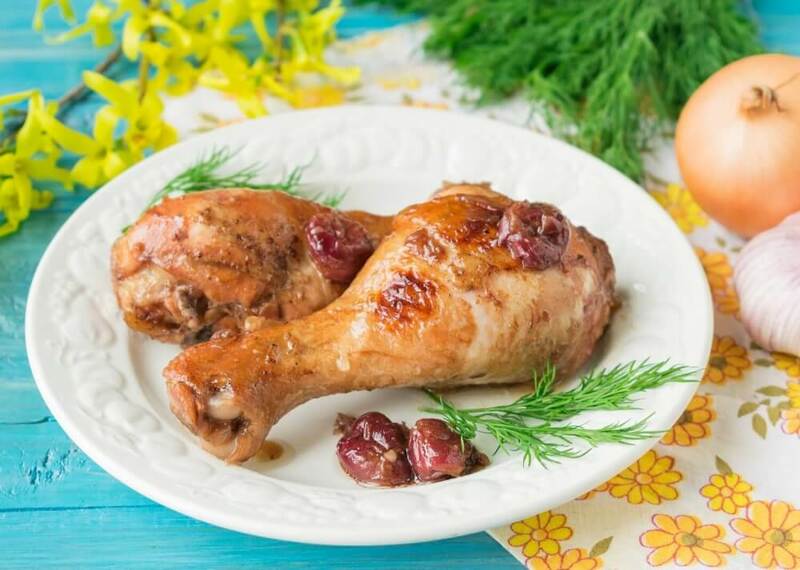 Serve finished chicken drumsticks in cherry marinade hot immediately after cooking. As a side dish, boiled rice, baked potatoes or fresh vegetables will suit.